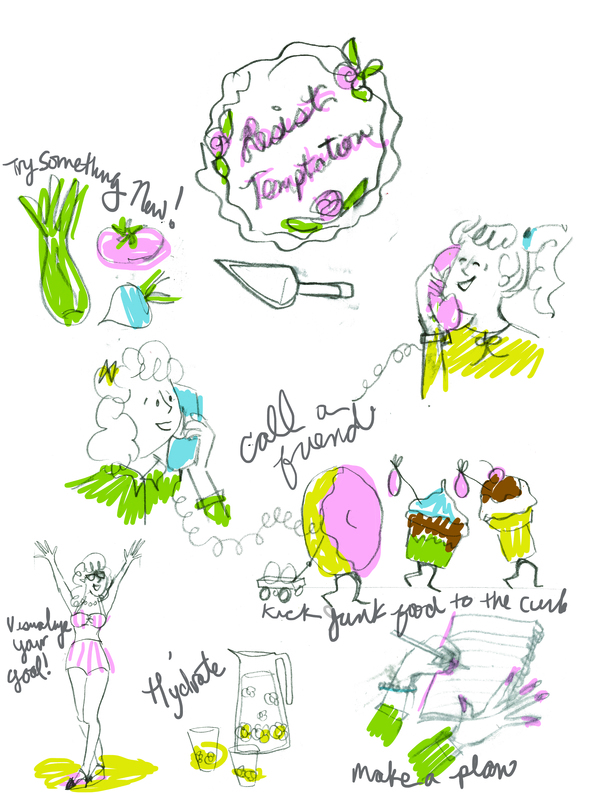 I drew what I thought would be good spots for a women’s magazine on resisting tempting foods. Each spot is a “tip” for how to maneuver not eating sweets. Since Christmastime is here I’ve noticed more sweets, treats, and desserts are all around me, so maybe resisting/refraining from temptation is just on my brain. I can’t wait to print this. Check back early next week for the final spots!